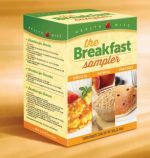 Variety of Breakfast Items: Omelets, Pancakes, Oatmeal - Box of 7 Servings. 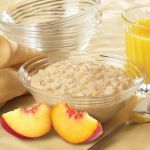 Oatmeal Mix - Peaches n' Cream - Box of 7 Servings. 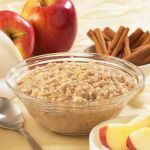 Oatmeal Mix - Apples n' Cinnamon - Box of 7 Servings. Oatmeal Mix - Maple n'Brown Sugar - Box of 7 Servings.